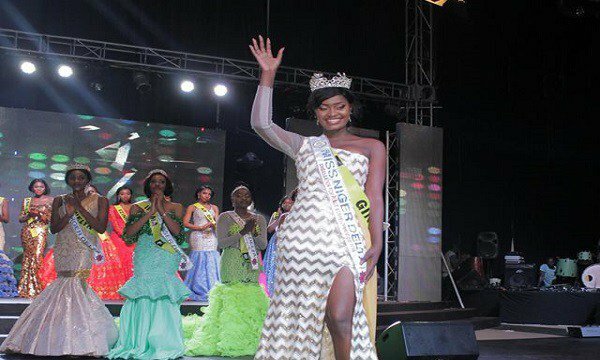 A beautiful Nigerian lady has emerged the winner of the Miss Niger Delta Peace Cultural Pageant in Imo state. 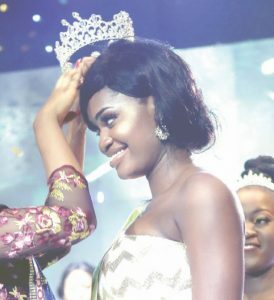 A 20-year-old Nigerian lady, Miss Gina Reginald, has emerged the winner of Miss Niger Delta Peace Cultural beauty pageant held recently at Imo Trade and Investment Centre, Owerri, Imo State. Gina defeated 18 other contestants to win the coveted crown and smiled home with a brand new MG5 car. Other winners include Evelyn Fynface, first runner-up, as Miss Niger Delta (Face of Beauty), Jenifer Ifeoma Anumiri, second runner-up, as Miss Niger Delta (Symbol of Talent), Tracy David, third runner-up, as Miss Niger Delta (Pride of Niger Delta) and Ijeoma Chinedum, fourth runner-up, as Miss Niger Delta (Model for Change). They all pledged to use their positions to touch lives of the people in the region positively and also promote peace and development. The guests were thrilled by top acts like Timaya, Mercy Chinwo, Arinze Baba, Lady-in, and Sound Force Band among others. According to the president of Miss Niger Delta Organisation, Prince Sodin, the event started in 1999 and has served as a platform to project the Niger Delta region positively through music, dance, fashion, and beauty contest. “All the contestants were trained in the art of perfume making and were given business starter-parks, beauty products, fashion accessories and money to buy other accessories,” he said.